Today is the 60th legislative day and the last day lawmakers may constitutionally meet for the regular 2018 legislative session. Lawmakers will likely be working up until the stroke of midnight to finalize budgets and pass all necessary legislation. 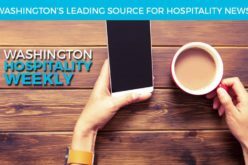 This session, the Washington Hospitality Association is excited to share with you many of the wins we achieved. The highlight of this year was securing unanimous passage of Second Engrossed Fourth Substitute Senate Bill 5251, our tourism bill. Tourism is critical to ensuring the health of our industry, local communities and the state. In Spokane, more than 100 students from 15 schools across Washington will slice and dice their way to scholarships and glory at the 2018 ProStart Invitational at Hotel RL, March 10. The action starts at 8 a.m. if you are interested in cheering on the teams or signing up to volunteer in a pinch. High school students competing are the future of the industry, whether they are interested in management or being chefs. The Spokane chapter of the Washington Hospitality Association donated $400 each to seven local high schools to prepare for the event and $500 for the mock competition. You can find more information about the Sysco ProStart Invitational here, or watch a video starring Guy Fieri and Carla Hall here. Monthly filers: February tax return due April 5. The February tax return will NOT be available until March 19 in MyDOR. Due date has been extended from March 25 to April 5, 2018.
Credit card payments and bill pay services will be shut down from 5 p.m., March 6 until noon, March 19. E-File services will be shut down from 5 p.m., March 9, until noon, March 19. All remaining services in DOR’s current portal, My Account, will be shut down from 5 p.m., March 15 until noon, March 19. To help prepare businesses and tax preparers, DOR will host a series of free live webinars starting March 7. Continuing education credit is also available. For a schedule of live webinars, visit dor.wa.gov/mydor. Can’t attend? Watch a recorded webinar, available now on dor.wa.gov. L&I Offering Paid Sick Leave Training Webinars – Register Now! Get informed on the state’s new paid sick leave program through training webinars presented by L&I. Register now. Share your day-to-day challenges with Congress and your peers at the National Restaurant Association’s Public Affairs Conference in Washington, D.C. 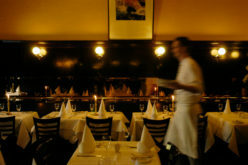 Your participation helps influence laws and regulations that affect restaurant businesses of all types. Join us April 17-18 to show that all politics are local. Register now. 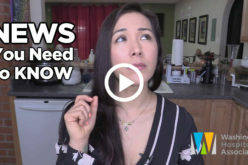 Don’t miss this great video recap of the news you need to know. This week’s topics include today’s legislative Session 60-day mark, the ProStart Invitational in Spokane, an anti-trafficking workshop and the Washington Hospitality Association’s outreach to graduating students at Washington State University. Fisher Phillips and Go Green Distribution on This Week’s DineNW Radio Show – Listen Online! Don’t miss this week’s DineNW radio show, online. Ross Boylan and Paul Schlienz kick off the show with Davis Bae, attorney with Fisher Phillips, who discusses immigration enforcement, how it affects employers and what businesses need to know about the I-9 Form. Andy Cook then joins Paul to interview Bruce Lewis of Go Green Distribution, Inc., whose signature product is RD Fresh, a 100 percent natural refrigeration dehumidifier that dramatically improves the shelf life of food.